When you are building leads for your business, main problem you would face is that visitors fill their least used emails. You are most likely to receive free-domain emails(like Gmail, Yahoo, Hotmail etc.) and for serious business builders these emails in the list are a bad thing. If you are selling products or services to other business/companies, chances are that your prospects will have their own official domain emails like john@optingun.com which they use most. You want their official emails, not the free-domain emails. Optingun helps you do it with no efforts, Optingun forms have option to block specific domains. If you don’t want gmail emails then block gmail.com on your form, don’t want yahoo? then just add it to block list and your visitors wont be allowed to signup with the blocked domains. How easy is this with Optingun? There you will see option to block specific domains from submitting the form. If anybody try to signup on this form with the blocked domain email, they get a warning message asking them to enter their official email ID. 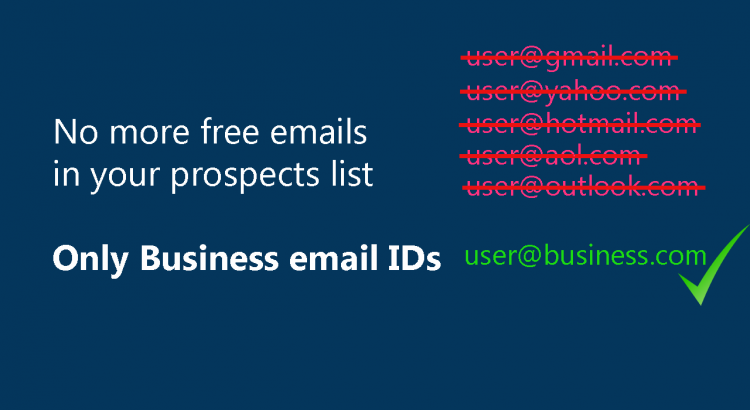 Thats how simple it is with Optingun to block emails from specific domains and grow your business with just the right leads.